Fess provides Job Scheduler to manage jobs. Scheduler page manages them. 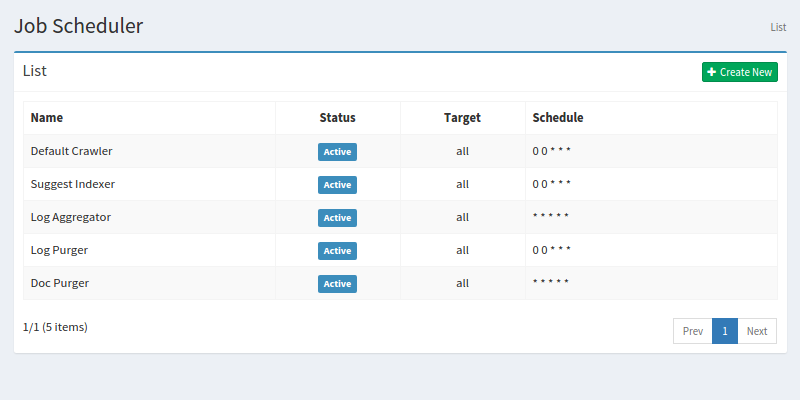 Select System > Scheduler in the left menu to display a list page of Job Scheduler Configuration, as below. Click a job name if you want to edit it. 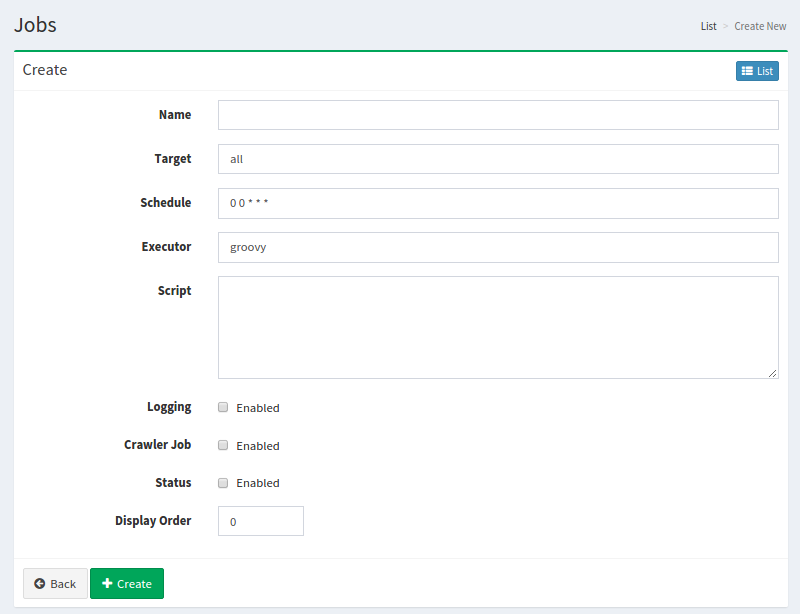 Click Create New button to display a form page for Job Scheduler configuration. Target name on which this job runs. Schedule to run this job. This value is cron-format. Execution environment. Only “groovy” is supported at the moment. Whether this job prints to a job result. Whether this job is for crawler. Whether this job is available or not. Click a job name on a list page, and click Delete button to display a confirmation dialog. Click Delete button to delete the configuration.